Surviving a tornado and surviving a nuclear bomb require two different types of underground shelters. If you live in a tornado-prone area, building an underground 12-by-12-foot box-shaped shelter with a staircase to the outside may be all you need to survive for an hour. But what about the threat of nuclear bombs? It is much more complicated to build an underground structure that will provide living quarters for up to a month and contains a generator, air-filtration and water systems, nonperishable foods and anything else needed. An underground shelter may protect you and your family. 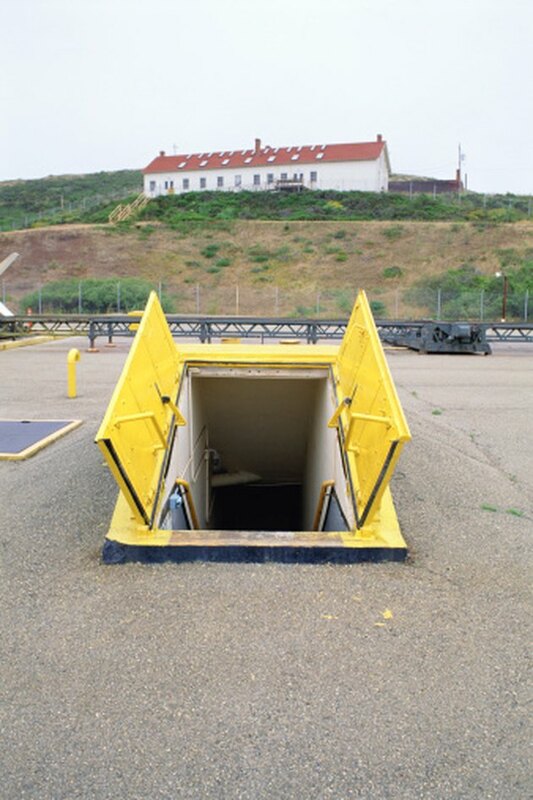 Determine what type of underground shelter you need and can have. If you have the skills and budget to build a nuclear underground shelter, then that will cover every emergency except floods. 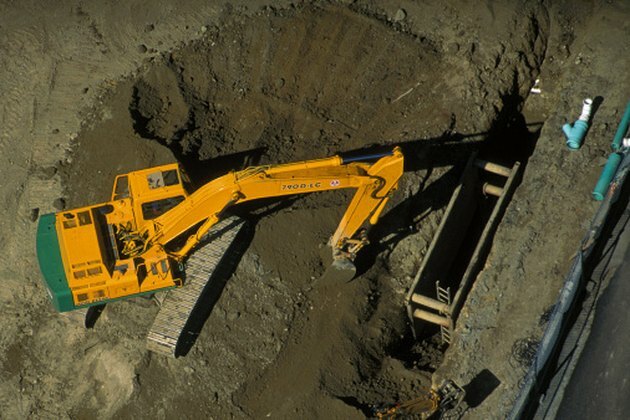 Find out where you can dig safely for the size project you want to build. Your design should provide for a long, narrow structure with a well-supported roof. As a final touch, earth will be layered on the roof and tamped down. There should be at least 36 inches of dirt between your internal roof and ground level. Dig your trench with a rented track hoe or hire a contractor to do it for you. Build a brick wall "guide structure" in the hole, pour concrete between the brick and the dirt. Install your living quarters container inside the brick structure or build your own with lumber. The brick wall and concrete should be higher than the interior structure. Once the container is in place, test all its equipment to make sure everything is working. If anything needs to be added or repaired, now is the time to get it done. Test the door to make sure no air or contamination can get in. Build a solid structure beginning at the container's exit door, which will be the passageway to the stairs leading to the entire shelter's exit. Like the walls of the main structure, concrete can also protect your passageway all the way to the stairs. Add a sealed door between the stairs and the passageway for better protection from nuclear fallout. Build an enclosure for the staircase with a door opening outward at the top. Seal the top of the structure with sturdy roofing and protect that with a thin layer of reinforced concrete that connects to the concrete walls. Let it dry and then hoe earth over the cement, tamping it down so it is level with the ground. Your containment system should be sealed, contamination-proof and up to survival standards when the project is completed. In case of a nuclear event, plan to live in your shelter at least four days. Purchase a prefabricated live-in container from an Internet vendor. 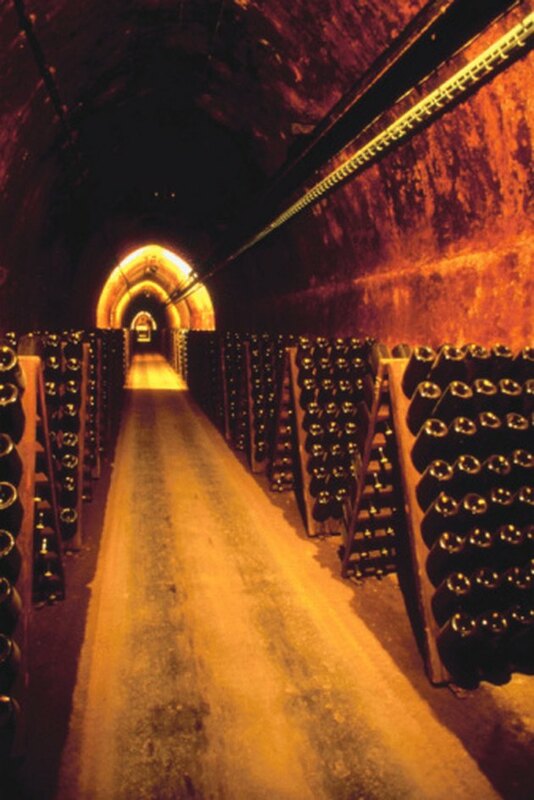 If you cannot afford one, build your own underground shelter out of wood and reinforce it with brick walls. 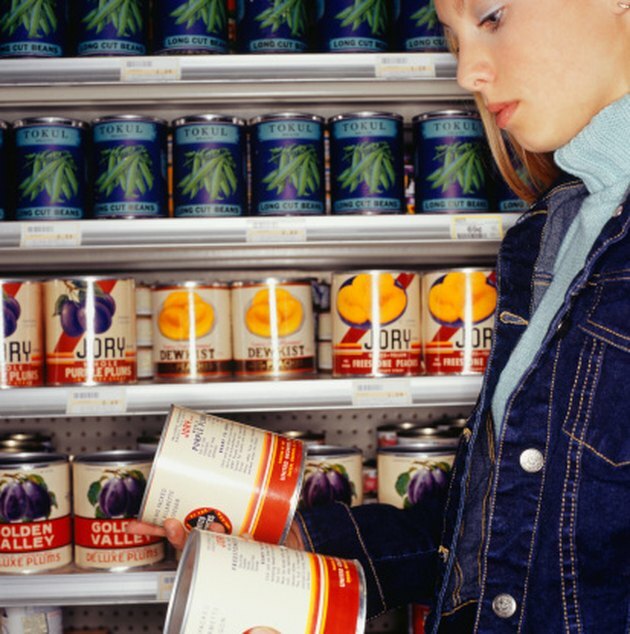 Stock up on canned goods, can-openers, dried fruits and other packaged goods. After about six months of storage, rotate your supplies to the kitchen and replenish your storage container with fresh supplies. Store water in glass containers, such as empty wine bottles with corks and large glass jugs. Avoid storing water in plastic containers. Include a medical kit, flashlights and spare batteries, cots and sleeping bags or hammocks with pillows. Also keep communication devices stored in your container, such as a portable windup weather radio, a plug-in radio if you have a generator, reading and writing materials and, if possible, a laptop computer. What Is an Integral Garage?